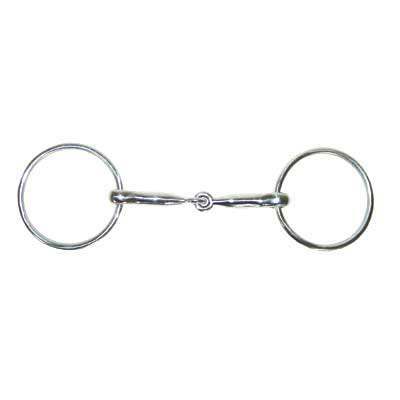 This is a loose ring bit which means the mouthpiece moves on the ring, usually creating relaxation of the jaw and chewing of the bit. The jointed bit provides a snapping action with the rings and the mouthpiece. 2 3/4'' rings. 12mm mouth.